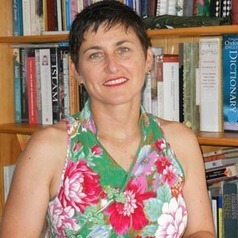 Cathy lectures in both Education and Sociology at Southern Cross University. Her research has focused on religion in government education (primary and secondary) and, for the past 7 years, she has been actively shaking the policy tree. Her book "Religion in Secular Education" was published in 2014 and she has multiple peer-reviewed articles. From 2012 to 2014, Cathy was an advisor to ACARA on religion in the curriculum, and on the general capabilities of intercultural understanding and ethical behaviours. Cathy has extensive experience in social science research, policy analysis and commentary.
" In 2013, as Project Manager for a 5-university research project into professional Doctorates, I undertook qualitative interviews and developed quantitative measures. I was responsible for all administration including ethics applications, co-ordination and logistics for meetings and events, literature reviews and library compilation, data analysis and drafting of publications, interview protocols, interviews, transcription and data management, coding, dissemination website development, stakeholder engagement and financial reports." I had the 'best PhD supervisor ever' - and would be honoured to guide other HDR students. Ideologies of Religion and Diversity in Australian Public Schools. , Multicultural Perspectives, 14(4): 201–207. ‘Free, compulsory and (not) secular’: the failed idea in Australian education. , Religious History, 37 (1): 20–38. ‘Jeesis is Alive! He is the King of Australia’: segregated religious instruction, child identity and exclusion. , British Journal of Religious Education, 34(3): 317-331. Freirean critical pedagogy’s challenge to interfaith education: What is interfaith? What is education?, British Journal of Religious Education, 33(1): 47-60. Public School Religion Education and the ‘hot potato’ of religious diversity. , Journal of Religious Education, 57(3): 26-37. The One and Many Gods of Hinduism. , Crossroads, 1(2): 15-27. Would a Buddhist Freeze a Cane Toad? , Contemporary Buddhism, 7(2): 117-127.